WILLEMSTAD - Venezuela airlines may start to avoid Venezuela if the country does not pay its outstanding debts in the future. This is a warning by the aviation organization International Air Transport Association (IATA) to the government of the South American country. Venezuela has 3.7 billion in debt to airlines. Dozens of airlines were already in trouble, partly due to default on the Venezuelan side. 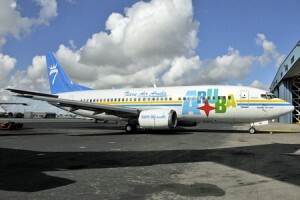 Some of these companies include Insel Air and Tiara Air. The latter has halted its flights from Aruba to Curacao, as the company is dependent for 80% on the revenues from Venezuela. That was announced by Tiara Air’s CEO Alejandro Muyale. The companies complain that they cannot meet their financial obligations because there are millions of dollars stuck in Venezuela.